All West Veterinary Hospital was founded in Bozeman, Montana by Dr. Gary Cook in 1984. It has been a lifetime passion for Dr. Cook, who has grown the practice to become an excellent full service hospital for all species. The practice includes eight veterinarians and an outstanding support staff, who have all gone into this field of work with one common goal; to put our energy, compassion and heart into every patient we treat each day. We look forward to working with you and your pet. Welcome! This is our dedicated team of veterinarians. There are many support staff at All West that work very hard to provide the best for your pet, please see our blog to hear from and learn more about them! Life history: Dr. Gary is a 4th generation Gallatin Valley native. He met his wife, Joan, while working as the State Veterinarian in Nevada. 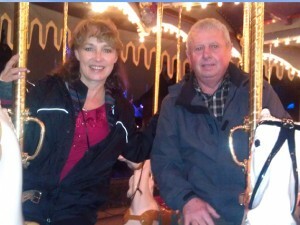 He has two sons; Jacy, an equine veterinarian at AWVH and Jeff, a commercial helicopter pilot. He also has four grandchildren with whom he loves to spend his spare time. The Cooks enjoy riding and driving their horses, hunting, helicopter rides and traveling. Areas of interest: Equine medicine, reproduction and surgery. Canine orthopedic surgery. 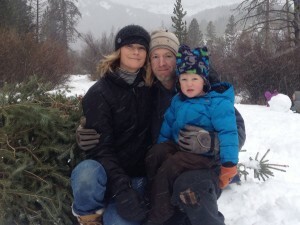 Life history: Dr. Jacy was born and raised in the Gallatin Valley. After undergraduate school at Montana State, he moved to Washington State for veterinary school. There he met and married Karyn, who is also a veterinarian at AWVH. They have two children with whom they love to share the outdoors. 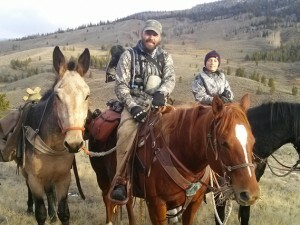 Dr. Jacy enjoys hunting, fishing, skiing and riding horses with his boys. Areas of interest: Small animal surgery and medicine, exotics and raptors. Life history: Karyn is originally from Washington. Through vet school, Karyn also worked at the Woodland Park Zoo, St. Louis Zoo, and the Bronx Zoo. At the end of vet school, she met Jacy who brought her to Montana. They have two very busy boys and too many pets to name. They all fish and ski together. Karyn also likes to quilt, crochet, and work for the Spay Neuter Task Force and Montana Raptor Conservation Center. Areas of interest: Small animal medicine. Acupuncture. Life History: Dr. Jeneé grew up in Midland, MI. She attended Michigan State University for both undergraduate and veterinary school where she met her husband, EJ, a Bozeman native. Dr. Jeneé completed a yearlong internship at Bend Equine Medical Center, a referral hospital in Central Oregon, before joining the All West team. Dr. Jeneé and EJ have one daughter and are again expecting this summer. Dr. Jeneé will return to her usual schedule following maternity leave. Dr. Jeneé enjoys reading and being outside - hiking, skiing, riding, fishing and spending time with her family, yellow lab, Gus, and horse, Keno. Life history: Dr. Shari is a native to Minnesota and Wisconsin. She moved to Montana in 2003, but maintains her loyalty to the Minnesota Vikings. She and her husband, Russ have a son. Dr. Shari’s summer pursuits include backpacking, hiking and camping. In the winter she enjoys cross country skiing, quilting and traveling abroad. Her animal family includes her dog, 2 cats and 2 birds. 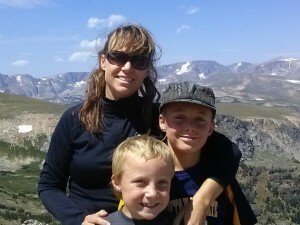 Life history: Dr. Gina is a 5th generation Montana native, born and raised in Helena. She studied Biotechnology at Montana State University prior to attending veterinary school at Washington State University. She met and married her husband, Robert, a flight engineer with the Army National Guard while living in Helena. In her free time, Dr. Gina can be found outside - fly fishing, rafting, backpacking, skiing, riding, or camping. Life history: Dr. Eickert was born and raised on the outskirts of Kalispell, MT. He attended Montana State University for undergraduate, and then veterinary school at Washington State University. After veterinary school Dr. Eickert completed a one-year internship in Los Olivos, CA at Alamo Pintado Equine Medical Center. Dr. Eickert jumped at the opportunity to move back to his beautiful home state and join the All West team! He enjoys most everything outdoors including hiking with his dog Nala, fishing, camping, hunting, shooting trap, archery, and snowboarding.